The purple sticker on the album cover refers to a fancy charity event/party ("All Things Chocolate, and All That Jazz") for which we were the entertainment in Washington, D.C. These l.p.'s were given to the attendees as party favors. This just happened to be the highest resolution picture of this jacket cover that I managed to fine online, as I'm too lazy to rummage through my own stored-away stuff to find one to try to photograph. This l.p., "Riverboat Shuffle", was recorded at the venerable Ardent Studios. We were all in one room, and recorded (1 inch analog magnetic tape) all in single takes, and with no edits to redo anything. We never used any sheet music or lead sheets. We recorded another l.p. (which we sold to Jazzology Records) during the same two-hour recording session. That l.p. is also on YouTube. That other one is called "Take Your Tomorrow". We recorded these tracks in the very early 1980's...' can't remember the year. I used my F tuba, because that is all I owned at the time. I played bass on some of the tracks. 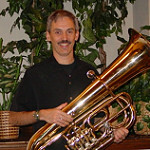 On "Sugar", I played both tuba and bass. That was the only dubbing done by anyone in the entire two-l.p. (go-go-go !) recording session. When we recorded it, I played the verse's (introduction's) melody on the tuba with the tenor guitar, spent four bars picking up the bass, and came in on the chorus with the bass on the fifth bar. Afterward, I dubbed the first four bars back in on bass. The "selling of the party favors - the l.p.'s - for the event in Washington, D.C." and the "selling of half of the tracks to Jazzology Records" covered the cost of the recording time at Ardent as well as the cost of the pressing and the jackets. I was the youngest person in the band. The others are now either in their 80's, or deceased. None of these have been previously uploaded to YouTube, and - as of today - are newly available. The recording quality is remarkable. The musicianship speaks for itself. I like how switching out the banjo and tuba for a guitar and bass helps the sound can go from "Old New Orleans" to "scaled down big band" jazz. bloke wrote: ...as well as the cost of the pressing and the jackets. Around here we call "jackets" "blazers!!" Unsurprisingly, this is great stuff! I wish I had this album in my collection. But at least I have a new YouTube play list. 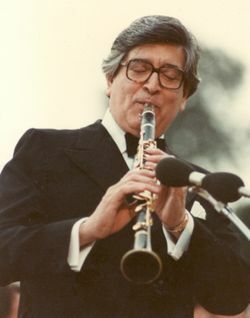 Three Valves wrote: The recording quality is remarkable. Grammy-winning John Hampton was the recording engineer, and was Ardent's finest engineer. It requires extraordinary talent - as well as a remarkable ear for balance - to record a band that insists on all playing in the same room together, and recording eighteen-or-so songs in two hours or three hours. John Hampton passed away recently, and only in his early 60's (cancer). George Ryan (band leader/cornetist/world-renowned women's doctor) would brag about the band's rhythm section's flexibility (as he described it) "from a King Oliver rhythm section Basie rhythm section at the drop of a hat, and even in the middle of a tune". Though "How Long Blues" was never a Basie tune (that I know of, anyway...??) we were definitely channeling Basie (particularly Rene Koopman, the pianist) in our interpretation. I have always found ways to improve by schmoozing and bluffing myself into situations where I was able to work with and perform with my betters. Very nice group. I'll keep this in my rotation, and I think my kids are gonna love it! Here are most of the rest of the tunes recorded that day (with "When My Dreamboat Comes Home" - a banjo feature - left off of both, unfortunately, as Dan Wilkinson - to this day - is remarkable. 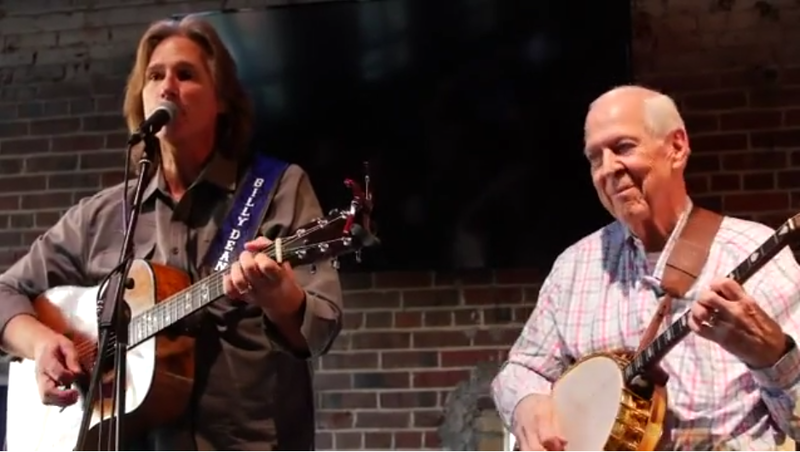 He's actually been touring - for the last few years - with country music star, Billy Dean). A couple of months ago, Mrs. bloke and I attended Dan's 80th birthday party, and Billy Dean showed up and played an entire show for all of us (with Dan on board, of course). Doc wrote: Unsurprisingly, this is great stuff! I wish I had this album in my collection. But at least I have a new YouTube play list. Thanks. I’ll have one here next week. Wonderful!! Thanks for sharing, Bloke!! !